Aakash Power is a Global Supplier, Exporter, and Distributor of Inverter Duty Motors, delivering complete motor solutions to the world’s most demanding industries. Our Inverter Duty Motors are approved by the international set of standards. The use of frequency inverter enables a continuous control of the motor speed and provides constant torque in the whole speed range. Heating due to harmonic content of inverter waveform. Reduced ventilation due to low speed operation. Constant torque/Constant Power/ Variable torque requirement of load. Other limiting factors e.g. maximum permissible motor speed, ambient temperature, altitude etc. While variable speed drives provide highest energy saving for variable torque (Centrifugal pump, fan) applications, for constant torque and constant power application, Variable speed drives offer significant process control improvements. 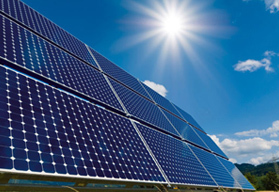 Basic inverters permit operation over a typical 20:1 speed range. With closed loop vector control the effective range may be increased to 1000:1. IEC: 60034-17 - Rotating Electrical Machines - Part 17: Cage induction motors when fed from converters. Standard motors are suitable for operation for a main supply of 3 Phase, 415V+/-10%, 50Hz.+/-5% . However, motors can be offered for any base voltage from 200Volt to 690Volts. 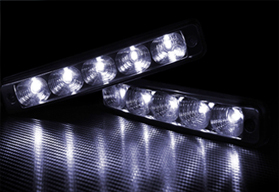 Motors are provided with IP55 degree of protection as standard. IP56 degree of protection can be provided on request. Standard motors are designed for S1 duty. 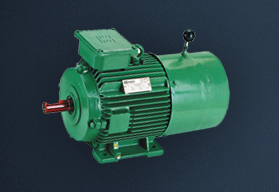 Crane duty motors suitable for S4/S5 duty ratings are available as a separate range. Motor to suit other duty conditions may be offered on request. The motors are designed suitable for 45°C ambient temperature and provided with class F insulation with temperature rise limiting to class B limit. Research has shown that thermal margin enhances dielectric performance of inverter fed motors significantly. Class H insulation may be offered on request. Motor re-rating factor due to ambient temperature and altitude is indicated in the motor selection chart. Apart from many other specific design considerations, inverter duty motors are provided with special insulation system to withstand voltage stresses imposed by IGBT based drives comprising of the following. Standard motors are suitable for operation with shaft mounted fan with standard IC411 cooling configuration. Various Forms of Cooling is given below. IC418 Totally Enclosed Air Over Motor cooled by airstream. Cooling effect reduces with reduced airstream velocity. IC 416 Totally enclosed Force cooled. Motor cooled by independent fan. Constant cooling throughout speed range. Variable speed drives are used for operation both at low and high speed. Cooling for variable speed motors gets affected while operating at lower speed whereas during high speed operation windage losses, bearing lubrication, increase in noise level, increased temperature due to shaft seals if any require special attention. At low speed (Below 10Hz.) loss distribution changes substantially which may lead to higher surface temperature. Temperature rise near bearing location should be periodically checked to ascertain that they are within limit. For sustained operation at low speed separate Force ventilation (FV) unit is recommended. FV unit is also used to restrict windage loss and motor noise when the motor runs frequently near to highest permissible operating speed of the bearing system. Force ventilation unit replaces integral shaft mounted fan with an independently mounted separately excited motor driven fan. The unit provides constant airflow to the drive motor throughout speed range. Totally Enclosed Air over motor /TEFC motor, depending on the design of FV unit, is provided to drive the independent fan. Fan motor rating depends on the rating and size of drive motor. Specially designed axial flow fan with optimized air delivery, low noise level and minimum power input is provided. Metric size Ball and Roller bearings are used. Double sealed bearings are provided with high temperature grease suitable for operation upto 110°C. Grease relief arrangement is provided for motors having re-greasing facility. Depending on motor size and supply voltage rating, bearing current may be generated owing to shaft voltage caused by high dV/dT common mode voltage (CMV) and motor parasitic capacitance. Normally bearing fluting caused by such bearing currents are noted from motor rating 110KW upwards. For frame sizes 280 and above insulated bearing housing is provided as standards. 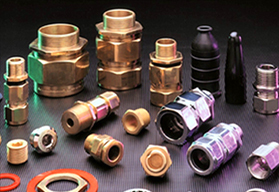 Good installation practice can reduce the risk of bearing current. Some recommendations are as follows. Effective grounding of drive system components (Drive, Motor, Driven equipment) Ensure good HF bonding for potential equalization between drive components. 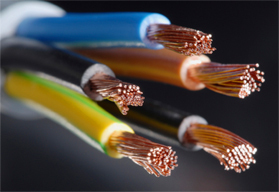 Proper installation of motor cables and connectors. S1 duty motors in frame sizes 200 and above are recommended with thermistor protection as standard. 3 Nos. PTC140 (Class B Rise) provided in winding overhang are connected in series and thermistor terminals are brought out to terminal box. For operation with Class F rise PTC160 thermistor may be provided. Encoders / tachogenerators are required to provide close loop control between inverter and motor for accurate position control and monitoring. These units are fitted at NDE side on request. Incremental encoders provide feedback on rotor movement by converting rotational movement into electrical signals used for numerical processing for precise speed control. Incremental encoders operating on photo electric measuring principle provides very high degree of measurement accuracy. AC Tachogenerators using permanent magnet rotor are used for simple speed monitoring and control. They convert the input speed to a three phase voltage whose magnitude and frequency is proportional to speed. Generally belts, sheaves, or gearboxes are used to reduce the speed of the motor, in this case the motor still runs at full speed. With the introduction of VFD the speed can be controlled by varying frequency & voltage fed to the motor the advantage being reduction in energy cost & mechanical issues associated with starting motors across the line. What should be indicated in Enquiry / Order for an Inverter Duty Motors? Speed range of operation. If long runs are involved at lower speeds? Whether Encoder is required & of which make & type? What are the typical problems encountered by an Inverter Duty Motors? The ideal power source & what induction motors were designed to run on. Pulse Width Modulation attempts to simulate a sine wave by firing many full voltage pulses in rapid succession. To minimize noise, the frequency can sometimes be raised to 20,000 pulses per second. To get higher modulation frequency, each pulse must be very short and the inverter output goes from 0 volts to 650 volts DC in one–millionth of a second. This can seriously stress the motor’s insulation system. This is what the motor sees as the voltage pulse from a PWM output enters the motor windings. Each rectangular pulse begins with a spike of over voltage nearly twice the DC bus voltage and then settles down to the bus volts. This “High Potting” can cause pin holes in the motor’s insulation turn to turn or phase to phase. Also known as standing wave and voltage ring–up. Some of the inverter output is reflected from the motor, back up the line toward the inverter. If the distance and switching frequency are right, a standing wave forms. Voltage from the inverter pulse and the reflected wave add together increasing voltage to the motor. At long distances a 460V RMS output can exceed 2000 volts at the motor terminals. Basically, any portion of the waveform that is not a sine wave is converted to heat in the windings. This is more prevalent on the older 6 step inverters but still can overheat or burn out some motors even on PWM inverters. 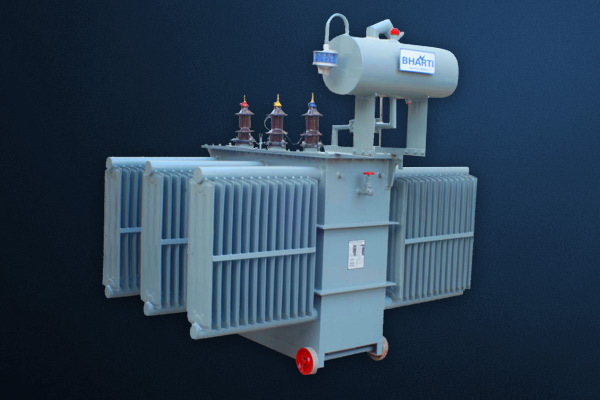 The high frequencies in the switching and transient spikes are also induced into the rotor and build up a voltage potential between the rotor and stator. This voltage is dissipated by arcing through the ball bearings. This continuous lightning storm will ruin the finish in the bearing races and cause premature failure. What should be taken care while installing an Inverter Duty Motors? Distance between the motor and inverter should be minimized. If they must be very far apart, specify a load reactor and a low pass filter in between. Monitor the temperature of the motor. A simple thermostat in the motor can prevent catastrophic failure from overload or too low a speed. Grounding is very important. The motor and inverter should be at the same ground potential and this common ground should be tied to true earth ground. Failure can occur from the motor and inverter at different voltage references.